As fans around the world tune in watch the World Cup in Brazil, some fans out of this world will be viewing, too. 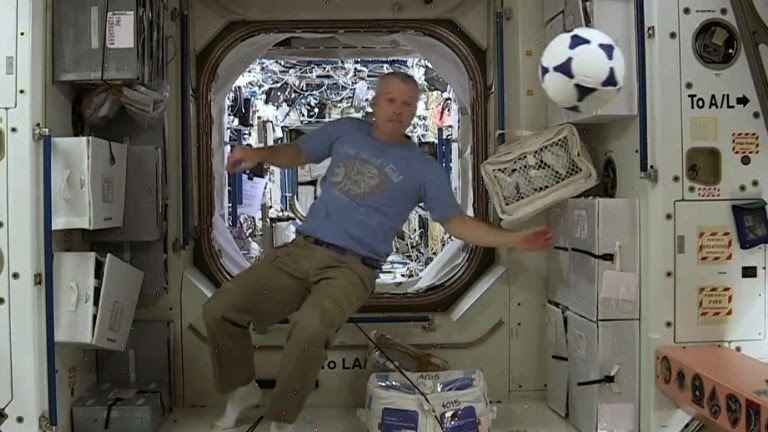 German cosmonaut Alexander Gerst and U.S. astronauts Steve Swanson and Reid Wiseman showed this video welcoming to players and fans on Earth and then involved in a game of zero-g soccer. Just viewing this brief clip makes me nervous for the day, that zero-g sporting become a actuality. Oh, and some bonus International Space Station-World Cup trivia: The ISS is just considerably wider than a soccer field.